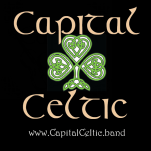 As you might expect, March is a particularly busy time for Capital Celtic here in the DC area! 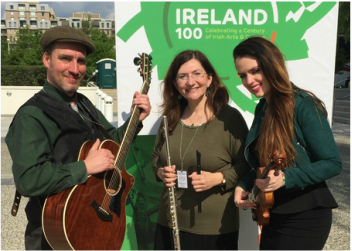 Whether you're looking for a Celtic band for your pub, private party, festival or community event, Capital Celtic can help make your St. Patrick's Day event bring out the Irish in everyone! We're now booking St. Patrick's events, so be sure to inquire about our availability for your St. Paddy's day (month!) event. 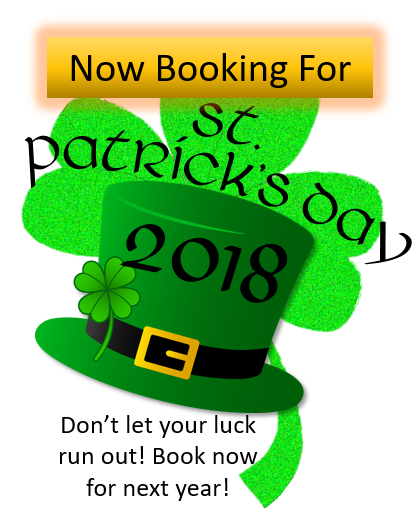 ​I highly recommend you book Capital Celtic for your next event! Very professional, with a great mix of Celtic music, that will keep your hands clapping and toes tapping. You will not be disappointed!! ​Was at clydes tonight for St Patrick's Day! What a great show. Group even dance, very beautiful women dancing and great band. Clydes brambleton was rocking. We happened to see Capital Celtic at Clydes during St. Patrick's Day. Their music really made the night. All are very talented musicians. Saw them again at Tally Ho as the warm up band for Gaelic Storm. A pleasant surprise and they got the house going!